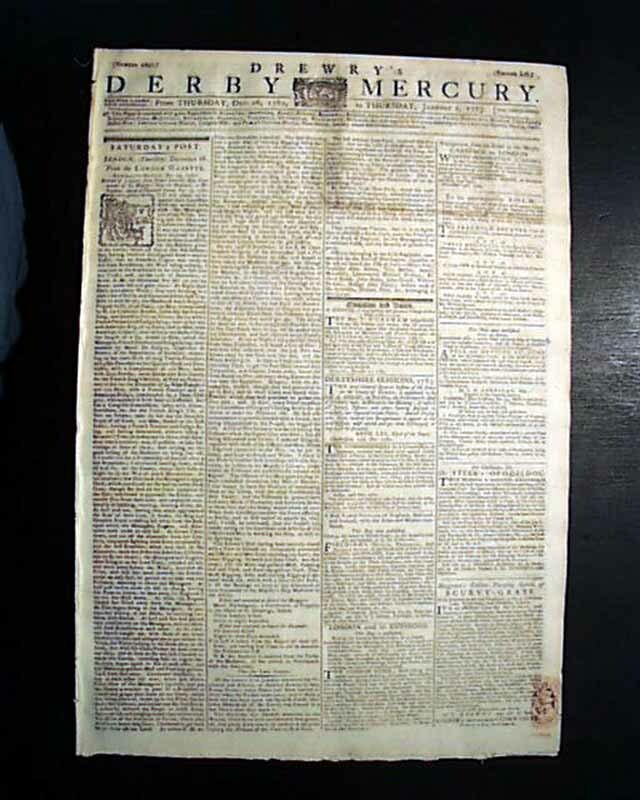 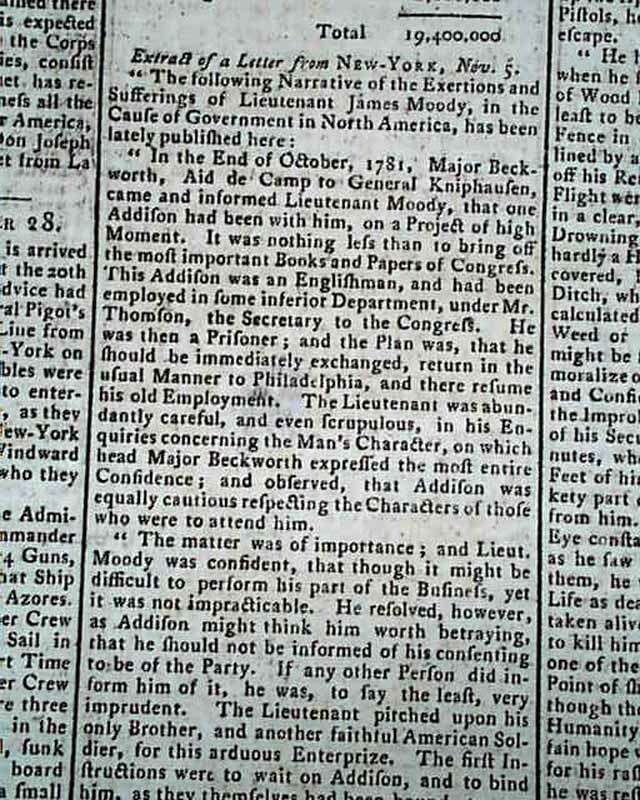 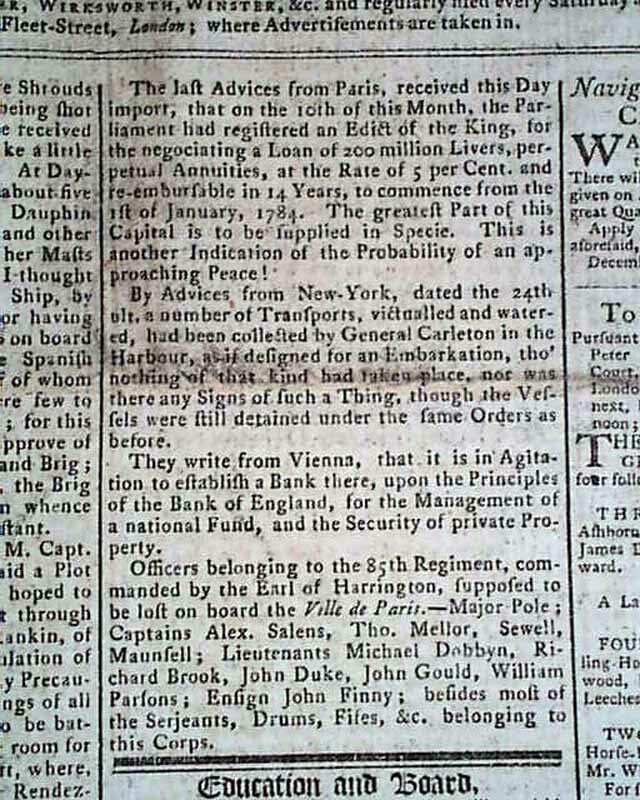 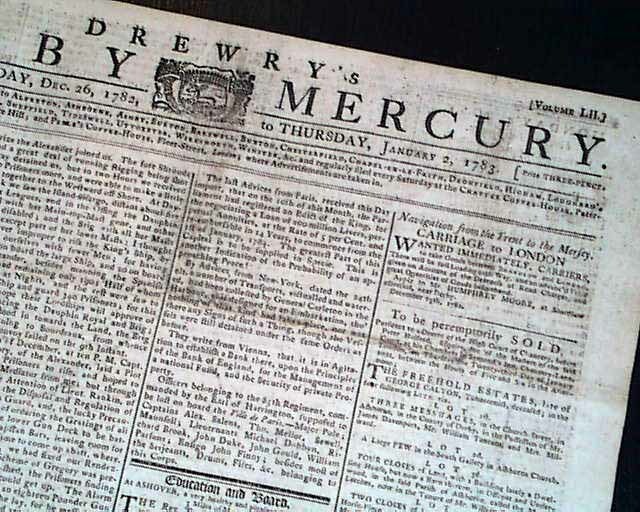 DREWRY'S DERBY MERCURY, Derby, England, Jan. 2, 1783 The top of the front page has a bit concerning the Revolutionary War (see). 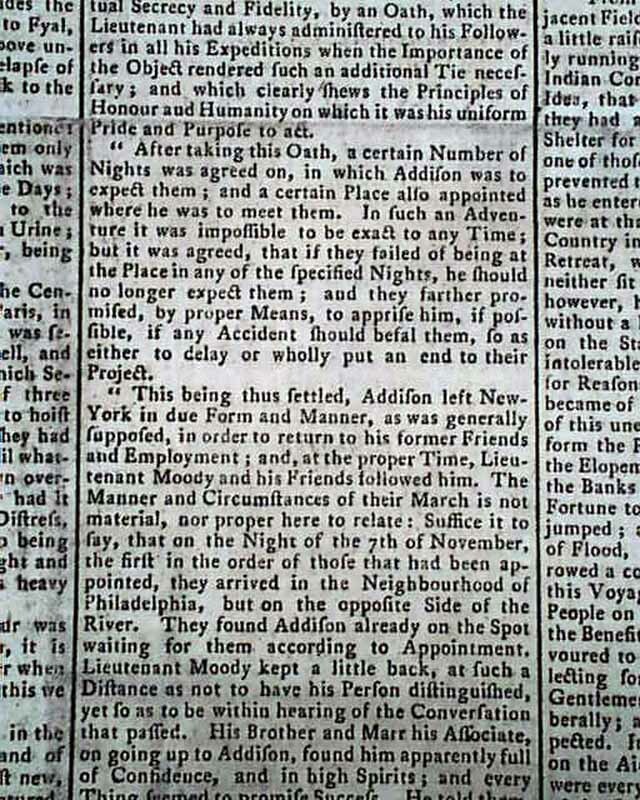 Page 2 has a lengthy letter from New York concerning recent situations there (see). 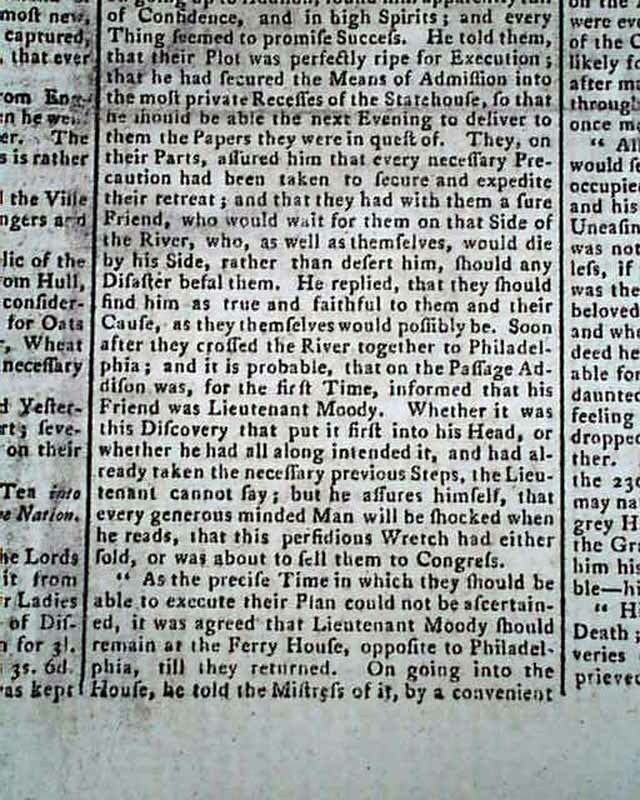 The top of the back page has a bit noting that negotiations for peace being broken off. 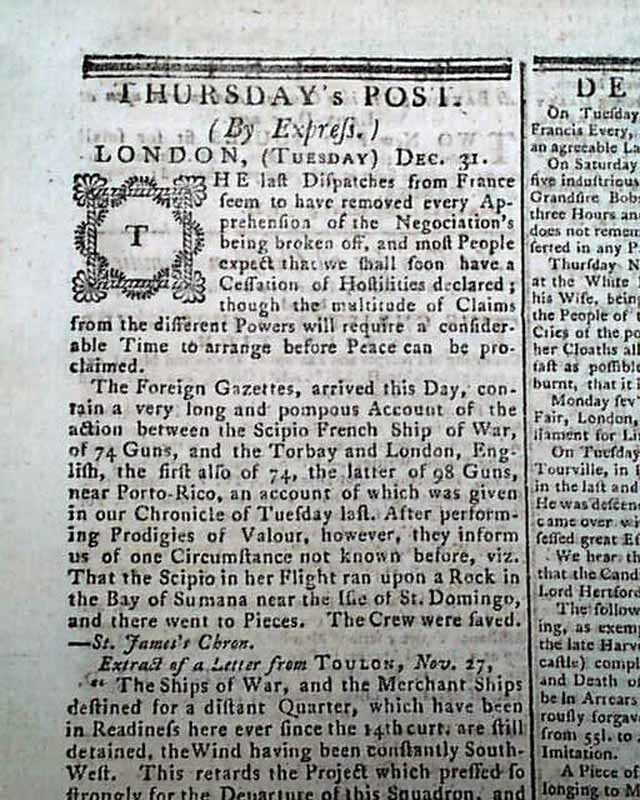 Four pages, folio size, red tax stamp on the ftpg., very nice condition.